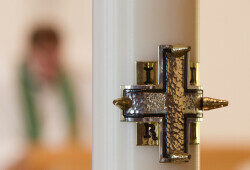 We welcome you into our sanctuary at any time. 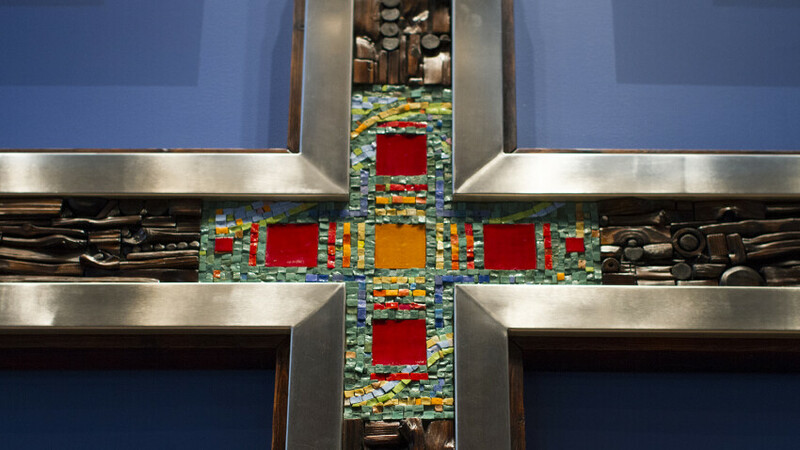 You may have seen the cross on the blue wall behind the altar or stained glass windows when driving by or find yourself studying them during worship. 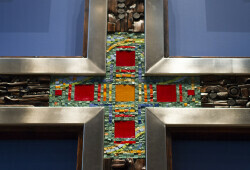 ​The cross is the focal point of our worship space. 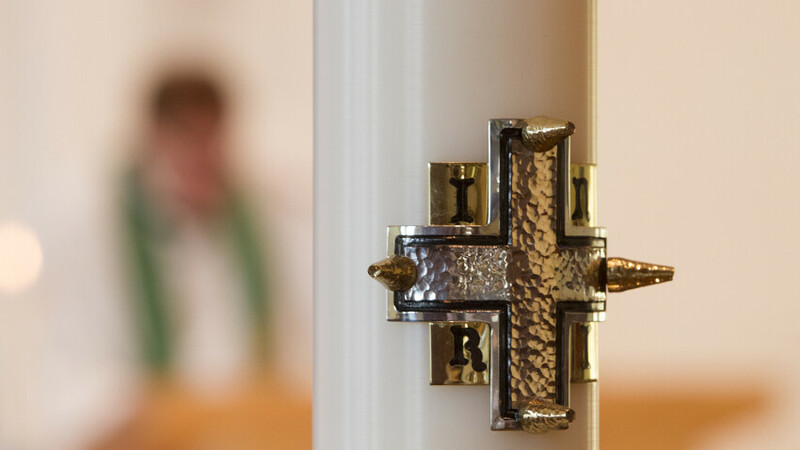 The congregation gathers around Word and sacrament, which is why the altar, baptismal font, and ambo (lectern) are all tied together with the use of mosaic tiles. 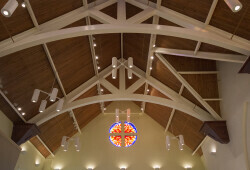 We decorate our sanctuary according to the seasons of the church year. 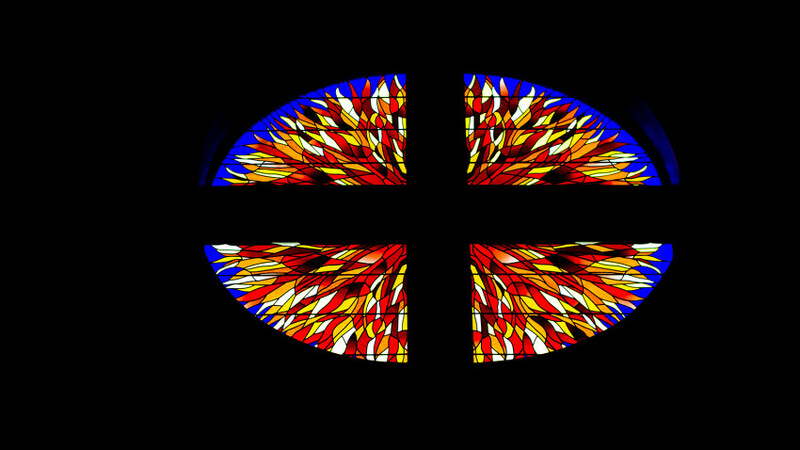 Colors, symbols, banners, and art are like a Gospel for our eyes, in concert with the Gospel we hear with our ears. 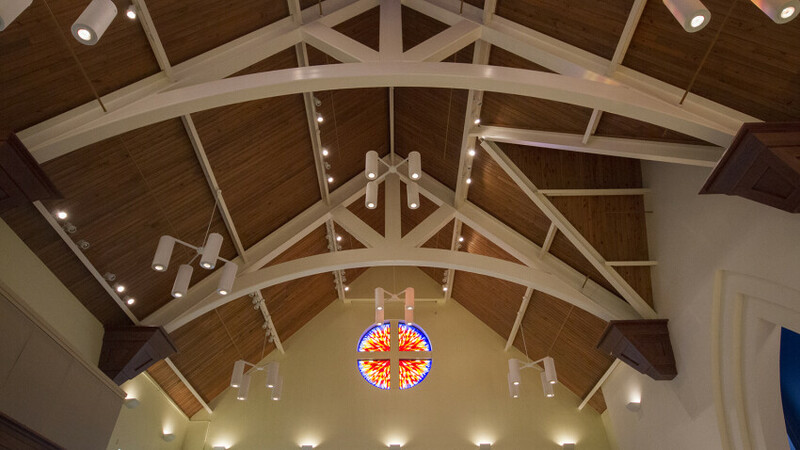 This multi-sensory approach to worship helps to center our thoughts and feelings as we give worship to God. 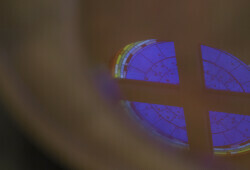 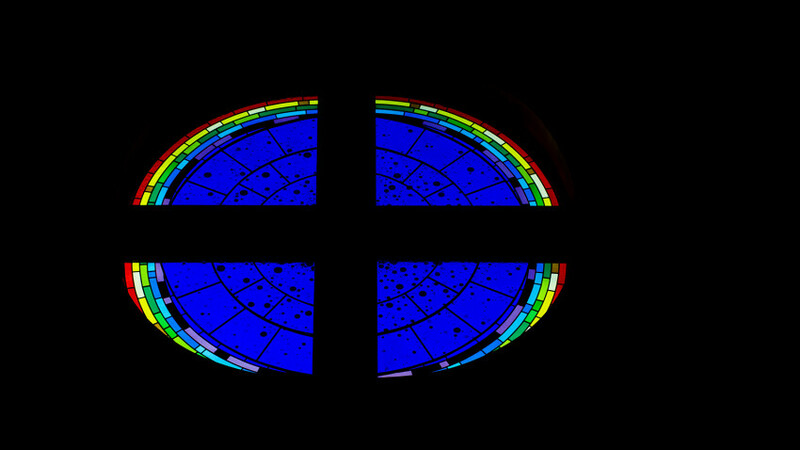 The large round stained glass windows reflect the witness of might acts of God in Scripture. 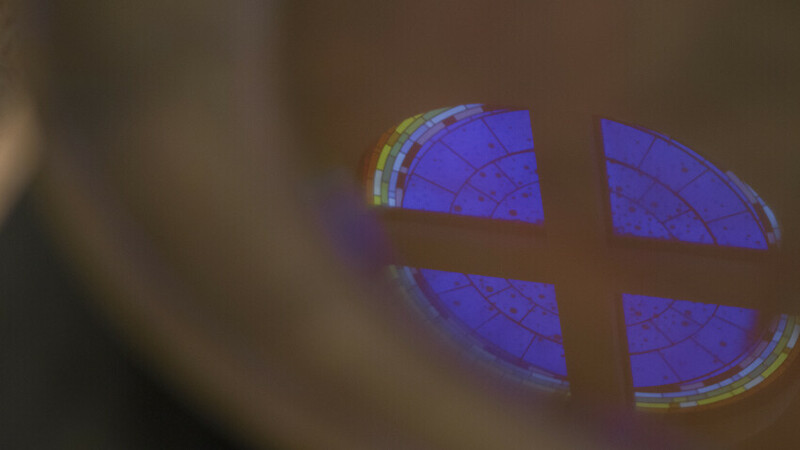 The north window reflects promises of the Old Testament, the rainbow to Noah and the stars in a blue sky marking the promise to Abraham that his descendants would be as numerous as the stars. 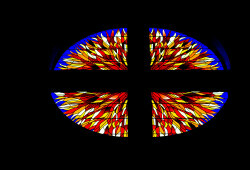 The south window portrays the flames of the New Testament’s Pentecost and the outpouring of the Holy Spirit. 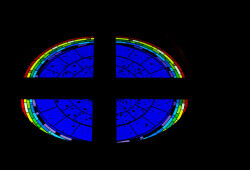 You will notice on bright, sunny mornings that a large brightly colored circle of light moves across the sanctuary.